How does an electrical engineer from Ljubljana wind up in Estonia? My wife impressed a Finnish businessperson who invited her to co-found a healthy snacks company in the Nordics. Tallinn is quite close to their first market of Finland, and it offers challenges for me as a tech enthusiast. She said “Pack your bags, we’re moving to Tallinn.” And so we did. You’ve been in the country almost a year now. How are you adjusting? Estonia and Slovenia have many similarities (weather excepted). Both are small, clean, and green. Yet they’re quite different, too. While Estonia has developed a very strong service sector, Slovenia is strong in engineering and production. Estonia has an entrepreneurial and innovation vibe. Combining both country’s knowledge is like putting hardware and software together. I worked six years in an engineering, development and production company, helping the automotive industry to get greener and household appliances to get more efficient. I like technology and am always looking for the “next big thing.” So when I arrived in Estonia I found an ML [machine learning] meetup and discovered Proekspert was the organizer. Since we share the same values – letting machines improve human lives – it was a natural fit. AI, PA, ML? These terms get used a lot. Which ones should we be using? Artificial intelligence (AI) is a huge concept which contains both predictive analytics (PA) and machine learning (ML). What’s important is that we’re consistent in how we use them. For a longer explanation, I think this blog post by Michael Copeland does a particularly good job. Let’s call it AI. How’s Estonia stack up against the rest of the world in AI? If I had to rank them I’d say Silicon Valley is number one. The UK is second. Maybe Switzerland in there in third or fourth. After that it’s a question mark. Estonia has to carve out a niche in AI. Autonomous driving is popular now, but it wouldn’t be wise to jump into the automotive industry. 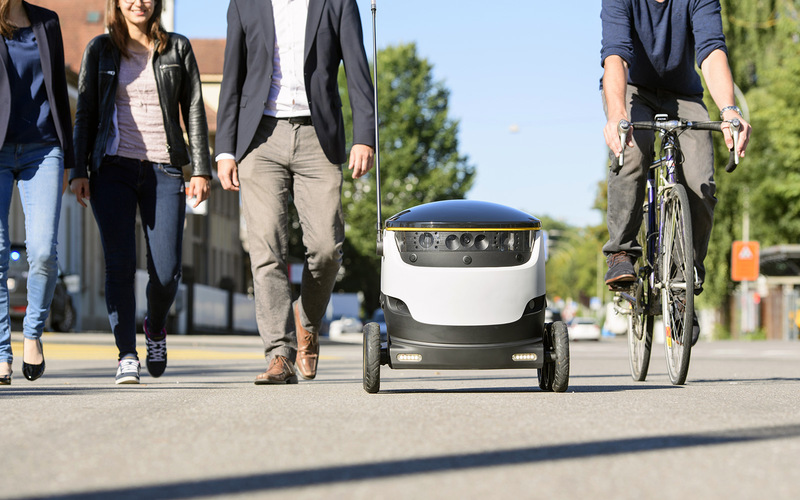 But one Estonian startup, Starship, made a delivery robot. That’s a good niche because they don’t have to compete with OEMs with their huge budgets and well-known brands. It’s a good example of how smaller players can find a niche. What are the AI breakthroughs we’ll see in the nearest future—outside the automotive industry? First, lots of smart objects for the home. We’ll have smart HVAC systems, and the entire supply chain from the producer to end consumer will be smart. This will decrease the consumption of energy, decrease pollution by the energy distributor, and create a cozier home for the end user. Second, in production it will be predictive maintenance. Production companies with high utilization rates (24/7 factory operation) suffer high costs when there’s a work stoppage. Predictive maintenance will replace planned and reactive maintenance by using data to predict when a breakdown is expected and do service before it happens. We discussed a harbour crane losing pressure in a tire, for example, and a worker filling the tire before a flat causes a work stoppage? There’s an important difference between “connected” and “smart.” The harbor crane tire is an example of connected and remote access, but not smart. You find out about the loss in tire pressure when it starts to happen. But “smart” means it can analyze information, make decisions, and take action. With “smart,” we’d know about the tire before it happens. 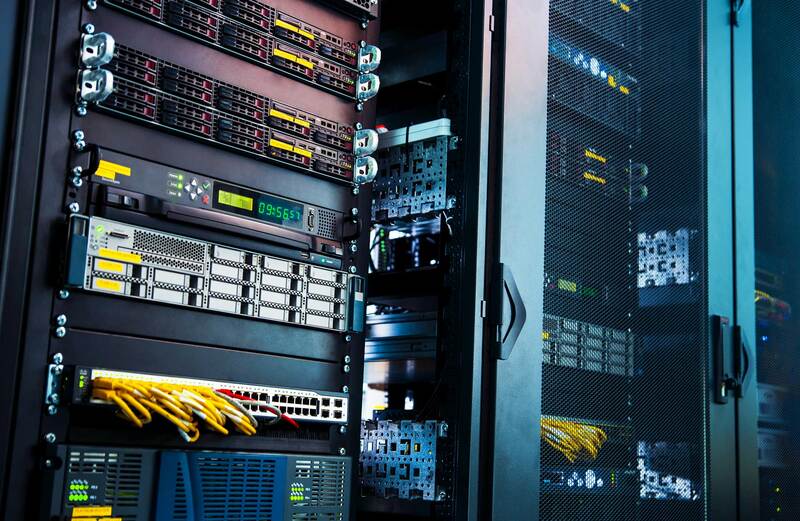 The most prominent example today is Google, which is already running predictive maintenance on its servers. They take data into account and know when a breakdown is expected. But what’s important is that we can do the very same on any machine. What company ought to be using PA that isn’t? Pretty much every business which employs decision making based on data should apply predictive analytics. Humans are reasonably good at making decisions based on limited amount of data, but we are not able to consume large sets of data. When the performance of a computer is as good as a human’s performance, then we consider the problem “solved”. There are massive applications for PA in the healthcare sector. Machines are much better than humans at recognizing differences on photos or scans. Computer vision should be used as a first filter and suggestion or confirmation tool for a doctor’s diagnostics. Should we fear losing our jobs to robots? Or has this been happening for years now? It’s hard to say how far this will go. More than tech barriers there are social barriers. Robots started taking our jobs at the turn of the 20th century. As workers we had to update our skill set. Of course, not everyone can update a skill set, so it’s very important how society reacts and how our system adjusts to it. Finland, for example, is already running a basic income pilot project. So robotization is a fait accompli? When Elon Musk started Tesla he did it in Silicon Valley, where there’s an extremely high cost of labor. He noted that robotization is already so far advanced that labor is not the most important cost in the Tesla equation. So we’ve already crossed the Rubicon on automatization. So our fears are unfounded? If you’re looking to be frightened then you should explore genetics! I understand that the technology is now available so that you could theoretically select your child’s eye color and hair color. So when it comes to AI, PA, or ML, what do you advise your clients? What do you tell them they ought to be doing? For me, the question is not what they should do, but the question is what they shouldn’t be doing. Which activities do they dislike? Which are not optimal? Which generate a lot of waste? Let’s look there to apply technology. My view on technology, in general, is that it should make our lives better. Current advancements in technology allow machines to see and hear. There are some companies working on recognizing taste as well. That’s the human head, isn’t it? Sensors allow us to feel the external environment. The hands and the legs, right? Combine these capabilities, apply an AI “brain,” and we’ve basically got a human-equivalent, “who” can get rid of many unpleasant activities and let us focus on what we are good at and what we enjoy. Robert Filic is Proekspert’s Predictive Analytics Lead. Contact him at robert.filic@proekspert.ee and join our newsletter.